As Devbridge has grown in size this year, the quest to "defy mediocrity" has become one of our themes. 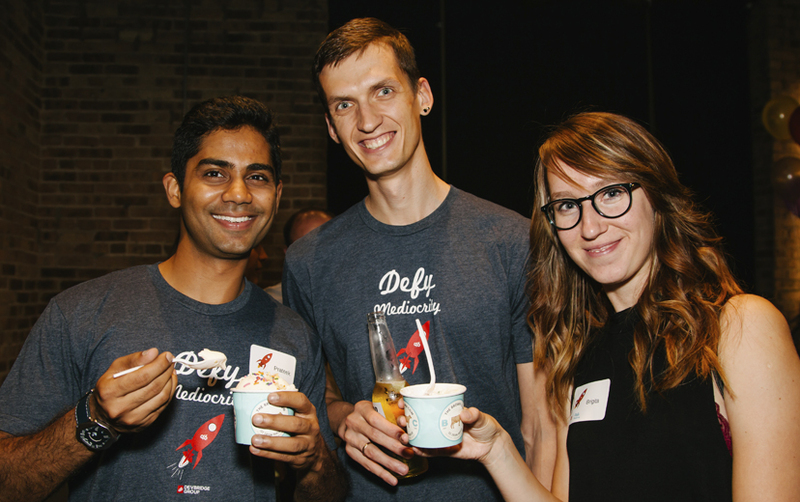 It's fitting that, on the last night of summer—the eve of the fall equinox—that theme culminated in our hosting an open-house event, Defy Mediocrity. 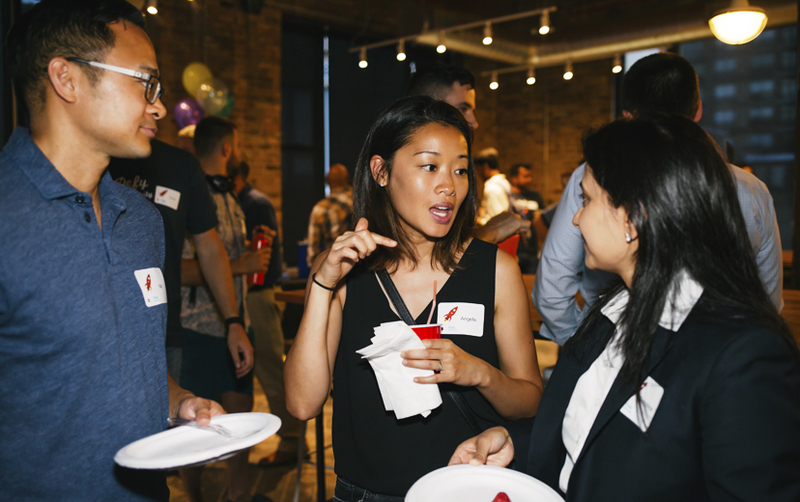 The event, held Sept. 21 at our Chicago office, was a night of networking, career inspiration, and fun. The crowd of over 100 were a mix of clients, friends of Devbridge, our team, and those interested in joining that team. The evening began with Aurimas, Devbridge's president, sharing his story. Early in his career, he found himself in a uninspiring, mundane job that may have paid the bills, but wasn't exactly fulfilling and certainly wasn't fun. 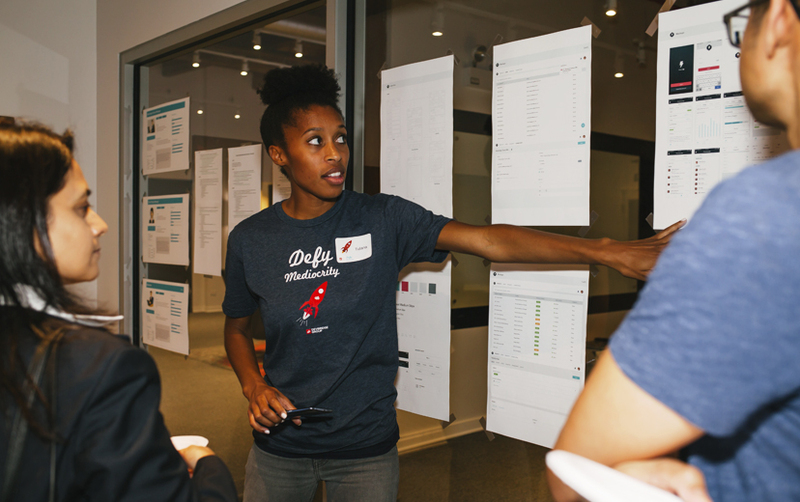 Some of his friends and colleagues were going through similar experiences, and, as a result, Devbridge was born. That was nine years ago. As we've grown, we've tried to attract people with a similar entrepreneurial outlook. We want engaged, energetic problem-solvers who bring new ideas to the table. In helping some of the largest companies in the world solve complex challenges, we need those people. The work isn't always easy—but few rewarding things in life are. To attract that kind of talent, we invest heavily in company culture and strive to make Devbridge a great place to work. We've infused defying mediocrity—the rejection of average—into our values. 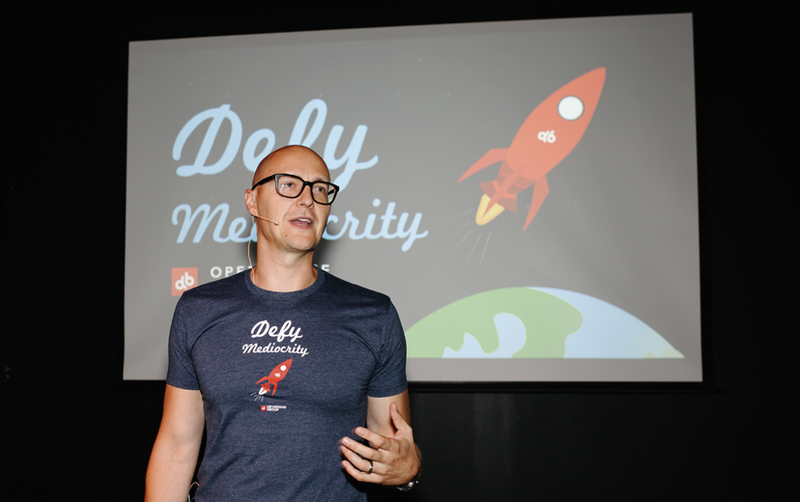 The Defy Mediocrity event was the first of its kind that we've hosted. Because of the overwhelmingly positive feedback, we'll look to host more events like this in the future. For those that weren't able to attend, be sure to check out photos of the event on our Facebook page. If you did attend, we'd welcome your input—how was your experience? Remember that, as we grow, we're constantly looking to add to our team—"Rebels, pioneers, and pirates of the professional world," as Aurimas aptly put it. As always, you can check out our open positions on our careers page. Summer may be over, but the quest for constant improvement is never-ending.